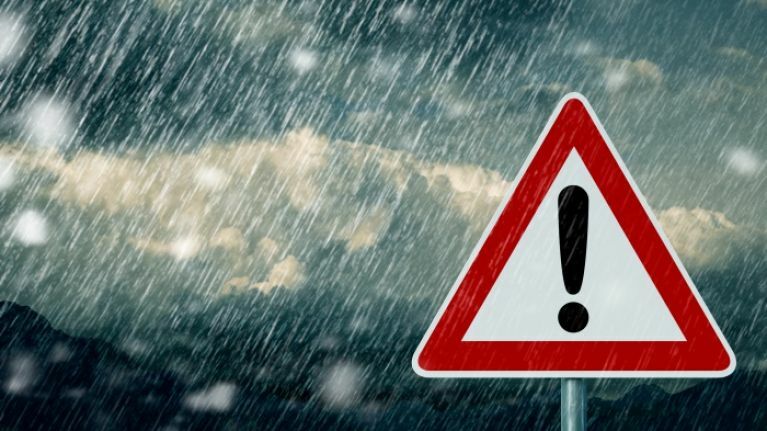 After Storm Erik swept across the country, Met Éireann have issued a new weather warning for six counties. The status yellow wind warning was put into place for Donegal, Galway, Leitrim, Mayo, Sligo and Clare. It will come into effect from Sunday, February 10 at 10am and last until 7pm the same evening. According to forecasters, there will be winds reaching average speeds of 55 to 65 km/h, with gusts of up to 90 to 110km/h. As for the rest of the weekend forecast, Met Éireann are predicting a "cold and windy" day on Sunday, with occasional showers to begin with. However, there will be a spell of showery rain - with a risk of sleet, hail and isolated thundery downpours - spreading southeastwards from Ulster during the afternoon and evening. The highest temperatures will be around 5C to 8C, before dropping as low as -3C in some areas of the country overnight. "[Monday will have] a dry bright crisp start with frost and any icy stretches clearing. "It will stay dry and calm for the day, with lots of sunshine and highs of 6C to 9C - the highest temperatures in the southwest. "It will be dry overnight with clear spells and light southerly breeze. Some frost will set in where the skies remain clear."